Jonathan Frakes was the headliner and he had the audience in stitches. The 501 Legion’s Star Wars booth was one of the most popular with their life sized versions of Han Solo on ice and a host of storm troopers, Boba Fett and other SW characters in full dress for people to take pictures with. A huge amount of retailers too, with some great foam replicas of nasty looking weapons. You know it’s going well when you have to slow down selling in order to have enough books for the next day. 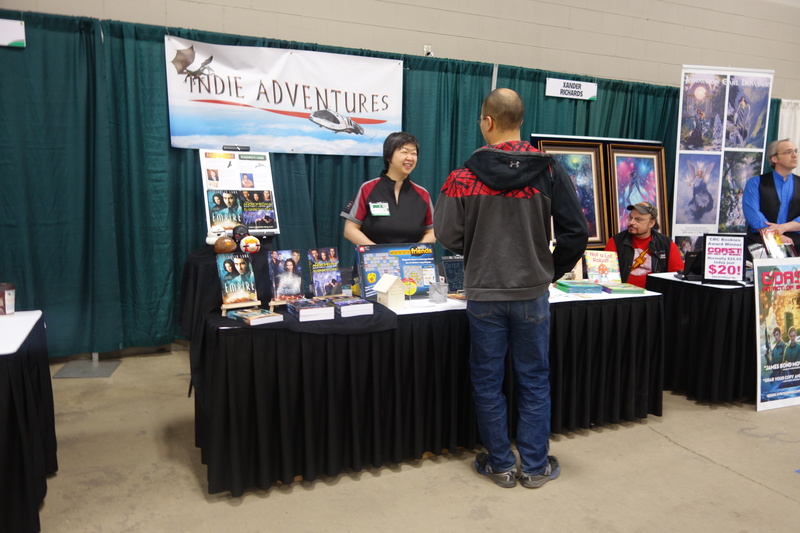 I managed to sell out one of my titles (The Empire) and a lot of the other two as well. 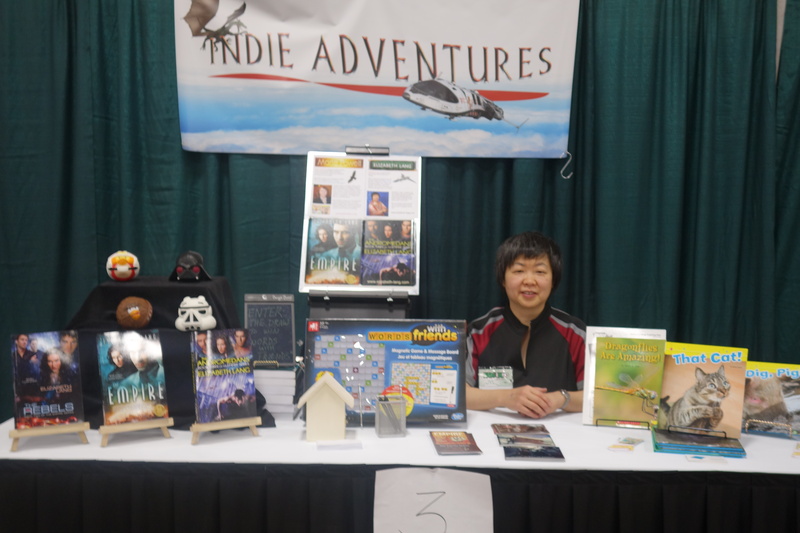 Sold a lot of 3-book sets. 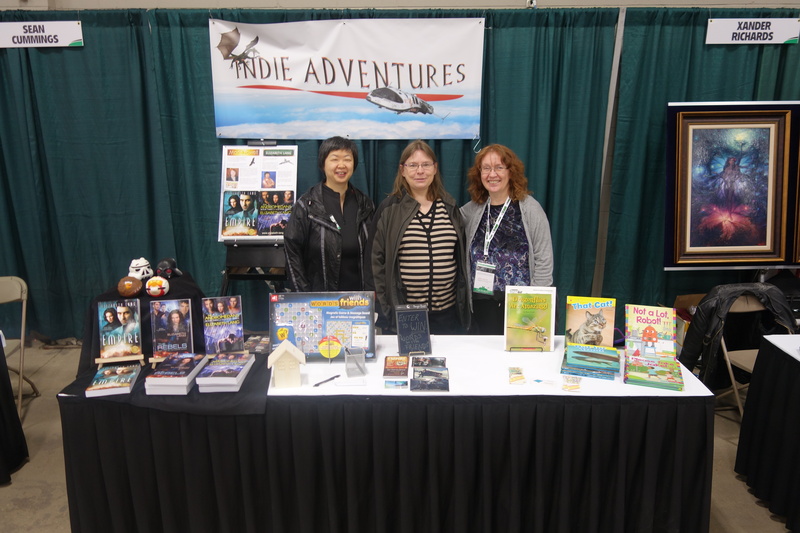 My favorite moment, other than the great sales, must be when a lady came running up to the booth, all excited, and told me that she bought my book earlier and just read the first three pages and she already loves it. A great cap to an awesome day. 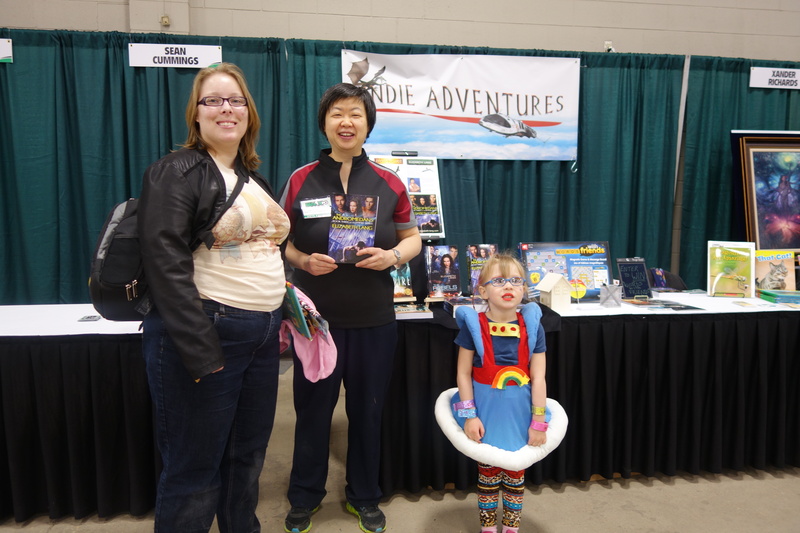 This entry was posted in News and tagged elizabeth lang, fan convention, fanexpo, regina, the andromedans, the empire, the rebels by Gerry Huntman. Bookmark the permalink. I am happy for you and hope more of such sales come up ever so often.Best wishes, you deserve to sell out all your copies. Happy you had a great time. Reblogged this on SciFi Worlds. Congrats, Elizabeth – it looks like an amazing success!